Tried a 33/12.50 on a 2wd rim tonight. Fit pretty good. A bit more on the torsion bars and some trimming and I could run them. How much lift do you have? 2" body and after market keys and shackles. I still haven't installed my add a leaf. 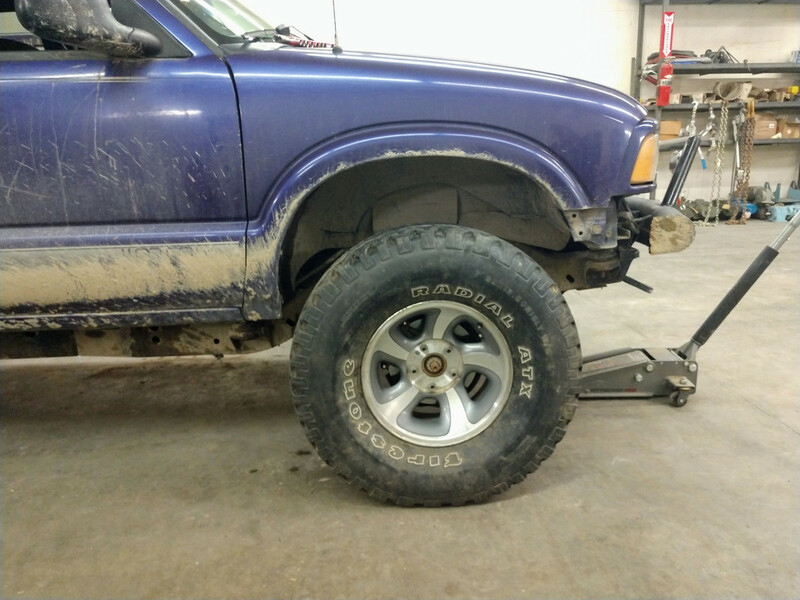 Yes I plan on working over the back of the front and rear fenders. As it sits right now on 31s from the ground to the fender lip on the front is 37.25 inches.